ENGLISH-SCOTTISH- WELSH- IRISH MARTYRS Between 1535 and 1681, over 600 Catholics died for the Catholic Faith and for the primacy of the Roman Pontiff, 54 were beatified in 1888 and nine more in 1895; 247 others had their cause of beatification introduced in 1886, being declared Venerable; the remainder (about 286), though they all died heroically, led more obscure lives. 40 were canonised in 1970. THE first act of B. Thomas with his companions and followers on entering Durham was to seize the Cathedral and purge it of every heretical token. The Communion table was broken up, the Protestant Bible and Book of Common Prayer were burnt. The Catholic revival spread far and wide with marvelous speed. Altars were erected, holy water-stoups replaced, and everything prepared for the Holy Sacrifice. 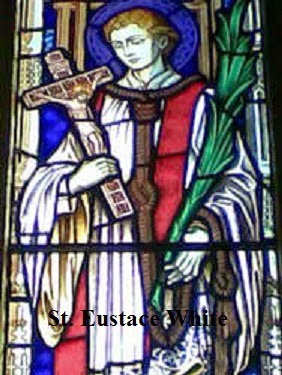 On Sunday, St. Andrew's Day 1569, the first High Mass was sung, the whole official choir assisting in the thronged Cathedral, and the reconciliation of Durham to the Church was crowned on December 4, then the second Sunday in Advent, by the priest F. Holmes bearing special faculties from Rome. Mounting the pulpit after preaching on the state of heresy and schism in the religion established by law, he exhorted his hearers to submit once more to the Holy See and to kneel down in proof thereof. He then publicly absolved the prostrate crowd, from their censure, and reconciled them to the Catholic Church. Holy Mass was then offered in reparation and thanksgiving. "In the same day wherein the heathen had defiled it was it dedicated anew with canticles and harps and lutes and cymbals. And all the people fell upon their faces and adored and blessed up to Heaven Him that had prospered them." 1 MACH. iv. 54, 55. We even know the identity of the organist at these Masses, one John Brimley. “ So then, brethren, we are not children of the bondwoman, but of the free, by the freedom whereby Christ has made us free.”—Gal. iv.31. His father was renowned in Hampshire as a confessor for the faith, and Swithin himself— kindly, pleasant, courteous, generous, brave, a leader in every kind of field and manly sport— was an example of a Catholic country gentleman. Much of his diversions he gave up, however, to train youths in the faith and learning, who thus became staunch Catholics. Apprehended and condemned for having had Mass said in his house, he was led out to die with his wife, sentenced for the same offence. 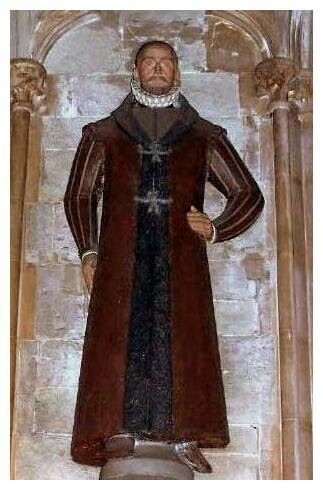 She was however remanded, and after ten years in Newgate of fasting, watching, and prayer, she died in 1602. On Swithin’s way to the scaffold, which was erected opposite his own door, meeting an old friend he said : “ Farewell all hawking and hunting and old pastimes ; I am now going a better way.” The butchery of Father Genings be­fore his eyes only hastened his own desire to die. “ Despatch,” said he ; “ Mr. Topcliffe, despatch; are you not ashamed to let an old man ^Stand here so long in his shirt in the cold. 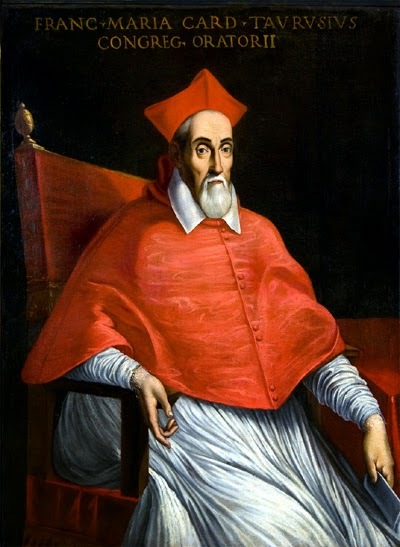 I pray God make you of a Saul a Paul, of a persecutor a Catholic professor.” And in such-like Speeches, full of Christian charity, piety, and courage, he happily ended his course, December 10, 1591. “ And they went not into the hall, that they might not be defiled, but that they might eat the Pasch.”—John xviii. 28. On December 4, 1591, Father Genings and his companions were brought upon their trial, and a jury was empanelled to find them all guilty, yet nothing could any prove against them but that one of them had said Mass in Mr. Well’shouse, and that one of them had heard the said Mass. 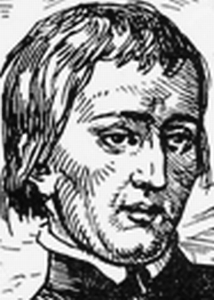 Many bitter words and scoffs were used by the judges and others on the bench, particularly to Father Genings, because he was very young and had angered them with disputes. And the more to make him a scoff to the people, they vested him not now in his priestly garments (in which they had before carried him throughthe streets), but in a ridiculous fool’s coat which they had found in Mr. Well’s house. On his return to Newgate, Topcliffe, Justice Young, and others called on him and offered him life, liberty, a benefice, and promotion if he would go to church and renounce his religion. But finding him constant and resolute they were highly offended, and thrust him into a dark hole, where he could not even see his hands nor get up or down without rjsk to his neck. Here he remained in prayer and contemplation without any food tili the hour of his death. “And Herod with his army set Him at nought and mocked Him, putting on Him a white garment, and sent Him back to Pilate.”—Luke xxiii.11. He was executed with St Swithin Wells opposite the latter’s house in Gray’s Inn, where he had said Mass. “ And the smoke of the incense of the prayers of the Saints ascended up before God by the hand of an angel.”—Apoc. viii. 4. Born in Lancashire, he was educated at St. Omer’s, where he was repeatedly, on account of his piety, elected prefect of the Sodality of Our Blessed Lady. Thence he was sent to Valla­dolid, and was chosen to make a Latin oration at Madrid before Charles Prince of Wales (Charles I), on occasion of a marriage then pro- posed with the Infanta Maria. Returning to Flanders, he entered the Society of Jesus, and was sent on the English Mission to London, 1634. He was then in very bad health, and his illness was increased by the close confinement imposed upon him by the unremitting house- searching of the pursuivants. Yet, notwith- standing the vigilance of his enemies and his own infirmities, through the various disguises he adopted, so as to be unrecognisable even by his friends, his perfect knowledge of French, Fle­mish, and Spanish languages enabling him to assume any character, he reaped auring two year's labour a rich harvest of souls. At length in 1642 he was apprehended on suspicion and sentenced. In prison his holy counsel and deep spiritual wisdom sanctified the throngs, English and forejgü, who came for his last words. He said Mass and administered the Sacraments up to the day of his execution at Tyburn, Decem­ber 12, 1642. “ I became all things to all men that I might save all.”—1 Cor. ix. 22. 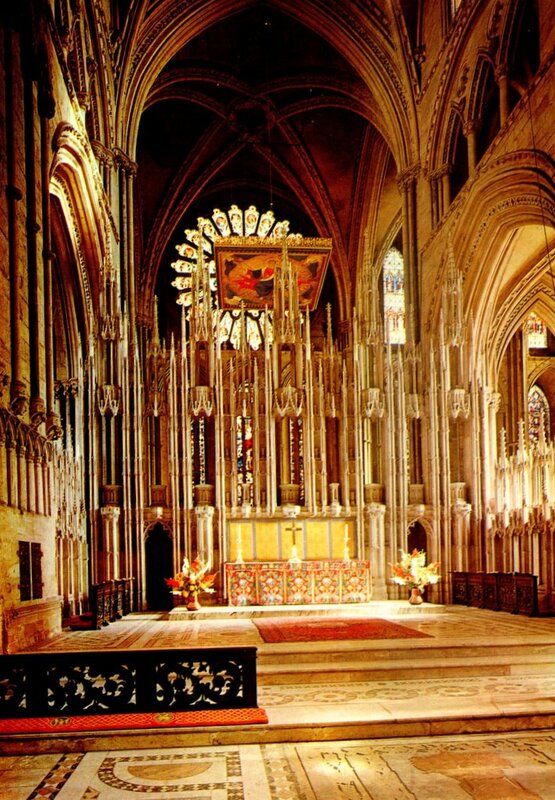 Born of a good Catholic Worcestershire family, he was educated first at St. Omer’s, then at Valladolid. 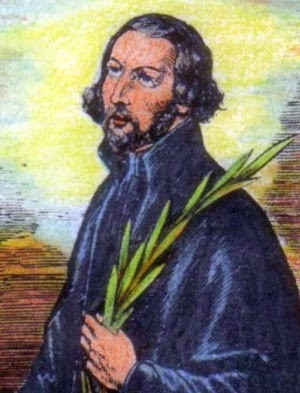 He asked for admission into the Order of St. Francis in the Province of the Immaculate Conception, and took the habit at the Convent of Segovia, August 9, 1618. He was distinguished by a rare union of learning with a sweet, joyous, and ardent temper, and an over- flowing sympathy with hisfellow-creatures which drew them like a magnet to his side. From his earliest years he had s- special devotion to Our Blessed Lady. He bound himself by vow to recite her office daily, and was in the habit of saying it alternately in Latin, Hebrew, Greek, Spanish, French, Flemish, and English. 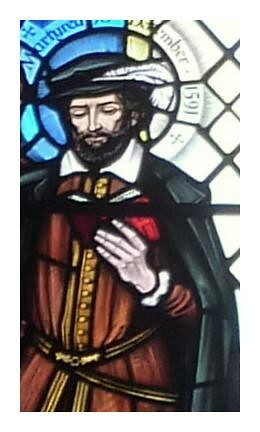 He was successively Guardian of his Order and Professor of Hebrew at Douay, first Provincial in Scotland, and then laboured on the English Mission. Our Lady’s protection was manifested throughout his life. He was professed on the Feast of her Nativity, September 8, 1619. On the same Feast, 1634, he was sent on the Eng­lish Mission, and his death sentence, for which he had prayed her twenty years, and had recited daily the Psalm xxxv., Dixit injustus, was pronounced on the Feast of her Immaculate Con­ception, 1643.
. At the Bridewell, London, he was once hung by Topcliffe in iron manacles for eight hours together ; but though the torment caused the sweat from his body to wet the ground beneath, nothing could be extracted from him of the least prejudice to Catholics. Under the extremity of his passion he cried out, “ Lord, more pain if Thou pleasest, and more patience.” To his torturer he said, “ I am not angry at you for all this, but shall pray to God for your welfare and salvatiön.” Topcliffe replied in a passion that he wapted not the prayers of heretics, and would have him hung at the next session. Then said the martyr, “ I will pray for you at the gallows, for you have great need of prayers.” He suffered at Tyburn, December 10, 1591. “And His sweat became as drops of blood running down to the ground.”—Luke xxii. 44.
was saying Mass, Mason seized him and thrust him downstairs, falling with him, and Topcliffe met with a broken head. This much the young man confessed. On this charge Mason was condemned, and executed the morrow after. Asked if he were not sorry for the fact, he re- plied, “No; if it were to do again, I would resist the wicked, that they should not have God’s priests, yea, although I were to be punished with twenty deaths.” There suffered with him a fellow-servant, Robert Sydney Hodgson, who, finding himself unpinioned, on the belief that he had recanted, boldly declared that, although he had asked Her Majesty’s pardon, he would not have the judge think that he would deny his faith, for that he would rather die twenty times first. 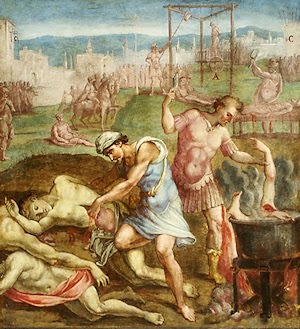 They were suffered to hang tili they were dead, and together they won their crowns.— Tyburn, December 10, 1591. “ And one of them that stood by, drawing a sword, struck a servant of the High Priest, and cut off his ear.”—MARK xiv. 47. The image of Our Lady Vulnerata (the Wounded One), is venerated at the Royal English College of St. Alban in Valladolid, Spain. Originally a beautiful medieval image of Our Lady and the Christ Child, it was horribly mutilated in 1596 by the swords of English soldiers during the 16th century persecution of the Catholic Church. 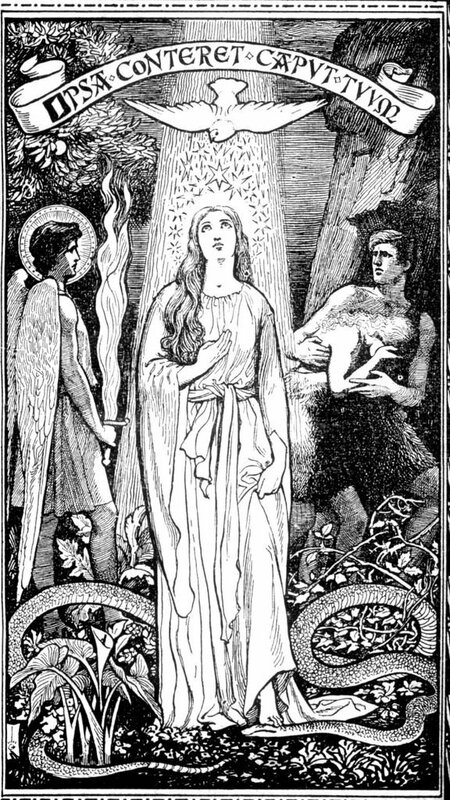 Many of the English martyrs prayed in reparation before this image before returning to their hidden ministry and death in England. Today, the image continues to be venerated with great love, pity and devotion in a spirit of spiritual reparation for all insults to the Mother of God and her Divine Son, and for the courage of missionary evangelization. The Feast Day is on the Sunday after today's Feast of the Immaculate Conception. 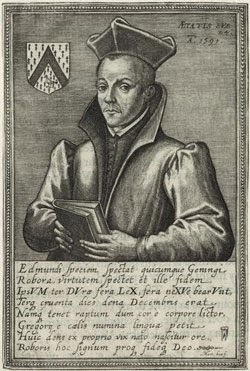 A NATIVE of Rodesby, Derbyshire, as a fellow of Exeter College, Oxford, he was accounted as an acute philosopher and an excellent Greek and Hebrew scholar. But grace called him to yet higher distinction. He became a Catholic, entered the English College, Rome, (also here for more history) and returned a priest to England in August 1580. After some months' zealous work he was apprehended while preaching in Mr. Roscarrock's house, and imprisoned, first in the Marshalsea and then in the Tower. He was there nearly a year, and in divers conferences with ministers won the admiration of his audience. After his first racking he was set out in great snow, and Mr. Roscarrock was kept in a dark corner hard by to hear his pitiful groans. After his second racking he lay five days and nights without food and in silence. All this time he slept, as he thought, before our Saviour on the Cross, and on coming round found himself free from pain. 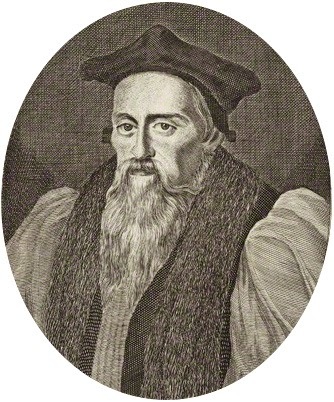 Tortures unavailing, the Bishops of Canterbury and London offered him the second Bishopric in England if he would but go to St. Paul's Church. After B. Campion was executed, the hangman took hold of Sherwin with his hand all bloody to terrify him, but the martyr reverently kissed the martyr's blood, and then shed his own, December 1, 1581. "When He shall give His beloved sleep. "— Ps. cxxvi. 2. AT the scaffold one of the preachers urged that the Catholic Church taught that good works justified faith. Almond answered that faith and good works justified together. The minister said that faith alone justified. He asked what faith an infant could have ere he had the use of reason ? The minister left that question and reason and talked of something else. 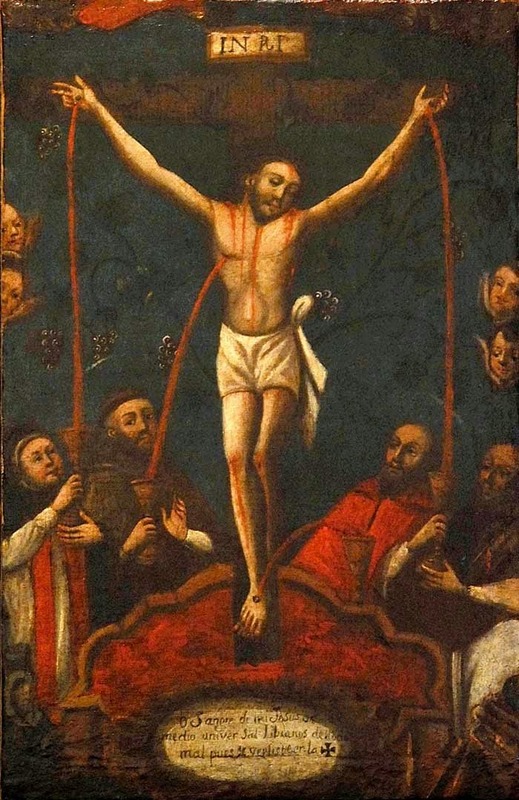 On the scaffold, kneeling down, he humbly begged God's mercy, not doubting that, many as his sins were, Christ, by His death and the shedding of His blood, would remit and pardon, and that He would now accept his willingness to shed his blood for His greater glory.
" What," said a minister, " can you match and compare Christ's bloodshedding with yours? Cannot Christ by Himself work your salvation?" "You mistake me," replied the martyr; "my sins, though venial, deserve Christ's wrath and punishment. It is His death alone, and the shedding of His blood alone, that is not only efficient but also sufficient to save us all. I have not much more to say, one hour overtaketh another, and though never so long at last cometh death, and yet not death, for death is the gate of life unto us, whereby we enter into life everlasting, and life is death to those who do not provide for death." " Faith without works is death."—JAS. ii. 20.
and when it was over, that maiv-of holy memory, as though foreseeing the Still more glorious defence of the faith he was göing to make before English persecutors, embraced him many times, and kissed his tonsure and that blessed brow which was so soon to be en- circled with the martyr’s crown. Cardinal Tarugi, who was also present, paid him like homage. “These were purchased from among men, the first fruits of God and to the Lamb, and in their mouth there was found no lie, for they are without spot before the throne of God.”—APOC. xiv. 4, 5. ON the scaffold he flung some seven or eight pounds in silver, with his beads, his points, and his discipline, for those to get them who would, and gave to the hangman an angel, not to spare him, but to treat him as he should. He had come hither, he said, to shed his bloöd for his Saviour’s sake, who had shed His blood for his sins. In which respect he wished that every drop that he would shed might be a thousand ; that he might have St. Lawrence’s gridiron to be broiled on, St. Peter’s cross to be hanged on, St. Stephen’s stones to be stoned with, to be ript, ript, ript, and ript again. Then, being in his shirt, he kneeled down, and often repeating “In manus tuas, Domine, &c.”—“Into Thy hands, O Lord, I commend my spirit ”—he waited tili the hangman was ready without any sign of fear; but, ever smiling, he protested he died chaste, but not through his own ability or worthiness, but by Christ’s special grace, and that he ever hated those carnal sins, for which the Catholic religion had been slandered. At last, the cart was drawn away, and with the words “ Jesu, Jesu,” his soul flewto Him for whom he Shed his blood, Tyburn, December 5, 1612. “For He woundeth and He cureth. He striketh and His hands shall heal.”—JOB v. 18. For the work of this site! Much appreciated! Posts marked with the sign of the + indicate that this was the day of martyrdom. In the persons, places and dates section, the posts are categorised according to name, religious order, date of martydom, place of birth, place of death and other key associations such as the Northern Rising. Previously posted material is also being updated. There are a few problems with the titles of earlier posts, which will be corrected soon. Contact me catholicconclave@gmail.com with comments, information and even corrections if necessary.